that you hid these things from the wise and understanding, and revealed them to infants. 26 Yes, Father, for so it was well-pleasing in your sight. To further illustrate this truth, I would encourage you to read Matthew 18:1-4. In this passage of Scripture, the disciples were arguing about who would be the greatest in the kingdom. I can't imagine how surprised they would have been when Jesus called out a little child as an example of one whom He considered to be great in His kingdom. 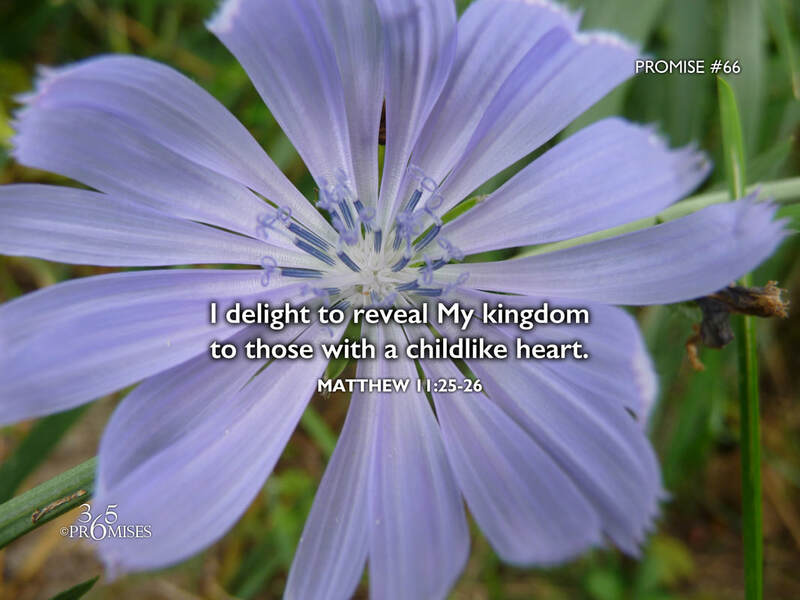 Jesus does not call us to be childish, but He does call us to be childlike. Little children live a completely dependent life. They know they are small and they carry within their little bodies a humility that causes them to trust completely in their parents' care. The more that we can see the incredible value in having a childlike heart towards our Heavenly Father, the more we will be able to grasp the mysteries of our Papa's amazing kingdom.